CDs and savings accounts are two of the most popular ways to save money with a bank. Both pay interest and can help you accomplish your savings goals. However, each one has specific features that make it best for different uses. Whether you’re trying to save up for a home, a nice vacation, or even just for a rainy day, choosing the right tool for the job can help you stay organized and reach your financial goals faster. Which One is Safer, a CD or a Savings Account? When Should I Use a CD vs. a Savings Account? A certificate of deposit is also known as a CD at banks or a share certificate at credit unions. These accounts usually require a substantial up-front investment of several hundred or thousand dollars. 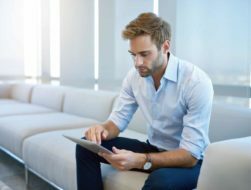 These are known as “timed” deposit accounts because you commit to keeping your entire deposit with the bank for a certain period of time, known as the term length. Term lengths can range anywhere from a month to five years or more. If you need to, you can withdraw your money early from a CD. However, you will have to pay an early withdrawal penalty. In some cases, this can cost you more money than you’ve received in interest, meaning that you’ll come out with less money than you put into the CD. That’s why you want to be careful and only deposit money into a CD that you’re sure you won’t need until it’s matured. On the other hand, CDs typically offer higher interest rates than savings account. You’re probably more familiar with savings accounts given their popularity and ease of use. You can generally put in as much or as little money as you want and withdraw your funds at any time. The only restriction that all savings accounts have is that you can’t make more than six withdrawals per month, per federal regulations. Even then, some types of withdrawals — such as those made in person from a bank teller — don’t count towards this limit. 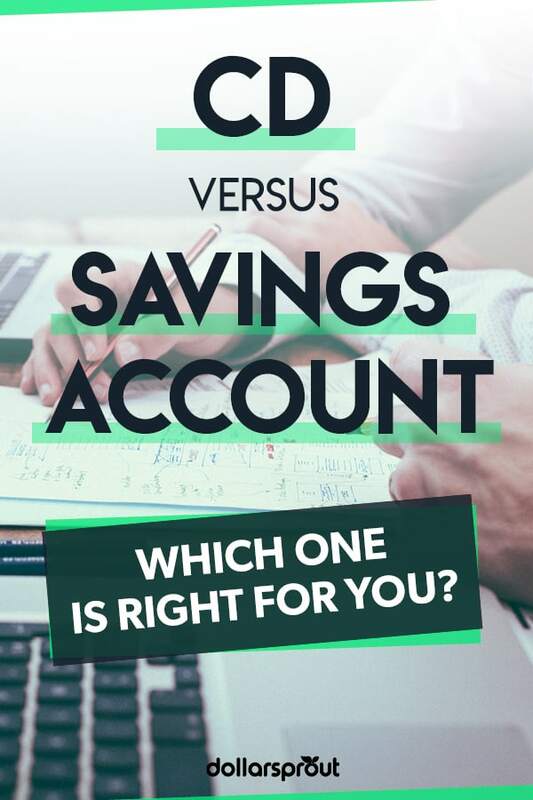 Aside from the general differences between CDs and savings accounts, there are a few more details to consider when choosing which is best for you. The biggest tradeoff between CDs and savings accounts is that CDs typically pay more in interest. Of course, this isn’t a hard-and-fast rule. The savings account interest rates that some online banks offer can be higher than the CD interest rates offered at other banks. But in general, within the same bank, CDs pay far higher interest rates than a regular savings account. The longer the CD term length, the higher the interest rate as well. For example, the interest rate on a 3-month CD will be dwarfed by the interest rate offered on a 5-year CD at most banks. The biggest benefit of a savings account over a CD is that you can access your money at almost any time. There are no restrictions saying that you must keep your money in the account for a certain period of time. 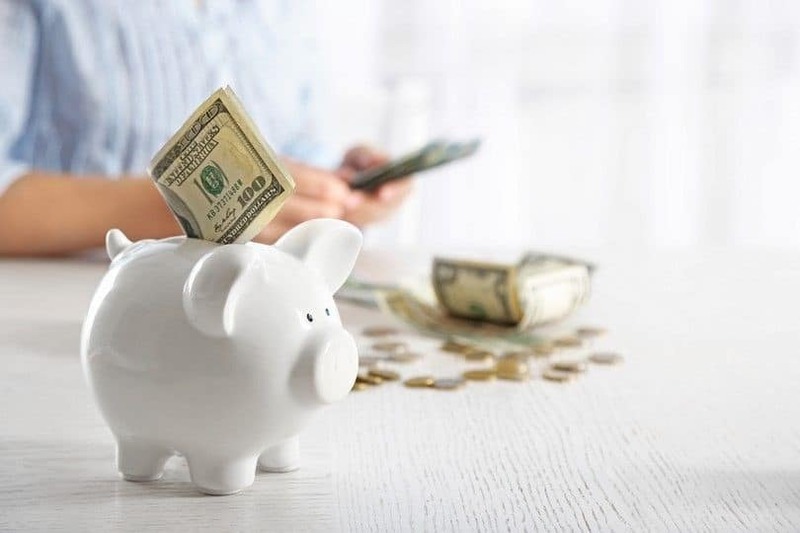 The only limitation on savings accounts is that some types of transactions — such as ACH transactions — are limited by federal Regulation D. This rule states that you can only make six withdrawals per month from your savings account by certain routes, such as online transfers. CDs, by contrast, impose substantial early withdrawal penalties if you withdraw any money early. This penalty is usually a certain number of months’ interest based on what your term length was to start. For example, the early withdrawal penalty on a 5-year CD might be 150 days’ worth of interest. If you withdraw the money very soon after you open the account, you might not have had enough time for 150 days’ worth of interest to build up. This means you could end up getting back less money than you put into the CD if you do need to withdraw your funds early. One downside of savings accounts is that because they’re not timed deposits, the interest rate on them can change at any time. While that’s great news if interest rates go up, it’s also a double-edged sword if your interest rate takes a plunge. CDs, on the other hand, keep the same interest rate for the length of the term. That makes it easy to plan out how much money you’ll earn. It also protects you in the event that interest rates fall. If you’re able to put money into long-term CDs and interest rates fall, you could be earning a great interest rate for much longer than anyone else. Again, the opposite is also true. If interest rates rise, you could be stuck with a low-earning CD. One barrier that prevents people from using CDs is that it requires a somewhat substantial minimum investment. Most CDs require a minimum deposit of at least $500, and some banks require $1,000, $5,000, or even more. For many, that’s a great deal of money to tie up for a long period of time. 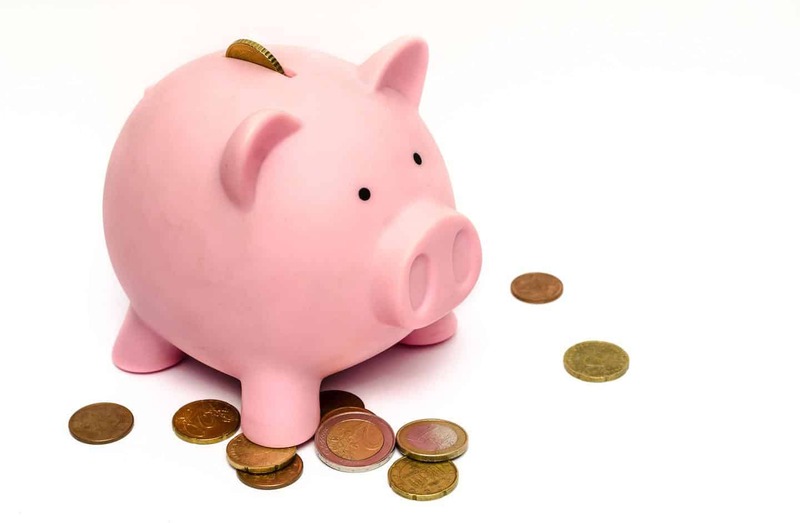 Savings accounts, on the other hand, often require no deposit at all. That’s why almost anyone can open a savings account, even children. There are a few questions about the differences between CDs and savings accounts that we see over and over. You may be wondering these same things yourself. Both are equally safe. If you’re opening an account at a bank, it’ll be insured up to $250,000 by the Federal Deposit Insurance Corporation (FDIC). Similarly, credit union CDs are insured up to $250,000 by the National Credit Union Administration (NCUA). CDs are better tools in two specific cases: 1) when your savings goal is a long ways out, and 2) when you won’t need the cash in the meantime. For savings goals like a house down payment, a fancy vacation, or a new vehicle purchase, CDs can help you reach your goals faster. Savings accounts are better tools for when you may need your cash at any time. An emergency fund is a great example of this. By definition, it’s for emergencies, which can happen at any time. However, there are always exceptions to the rule. You can use a CD ladder strategy to earn the high interest rates that CDs offer while still having regular access to your money, for example. Both savings accounts and CDs can be used to help you reach your financial goals. But you want to make sure you use each one correctly. If you make a mistake and need to pay penalties and fees, for example, you could be set back even further. In general, CDs are better choices for your long-term savings goals with specific dates. That way, you can pair up the maturity dates on the CDs with when you’ll need the money. Savings accounts are better for your everyday savings — Christmas, vacation, emergency funds, and similar goals. That way you can access your money at any time without having to pay a penalty.